Most people’s preconception of caramel is the little sweet, brown, slightly chewy, soft cubes of deliciousness that melt in your mouth when eaten, however caramel can also be used in chocolate or candy bars or as a topping for popcorn! Caramel dates back to the 7th century and is one of the oldest confectioneries; sugar cane was discovered by the Arabs in Persia and on heating the cane they obtained a dark brown liquid which they called ‘Kurat Al Milh’ (ball of sugar) and the name ‘caramel’ derived from this! 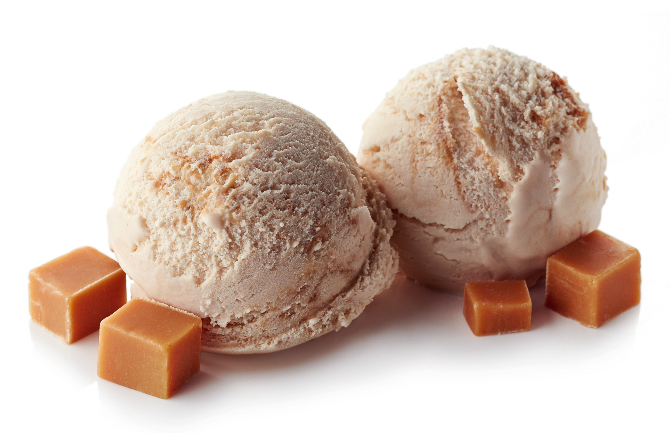 Chefs, entrepreneurs and food manufacturers are coming up with new ways to incorporate caramel in their recipes because of its unique characteristics; from its appetising appearance and its tantalising aroma to its delicious smooth and sensual flavour, caramel and salted caramel flavours have become one of the most recent food trends. To create a caramel as a type of confectionery, the amount of butter, type of milk and type of sugar can create differences in flavour, while varying cooking temperatures can affect the firmness; thus, creating caramels with various tastes, textures and appearances. To create a variety of textures, caramel manufacturers use two different terms to categorise the product; ‘short’ is used for caramels that are soft and moist, and ‘long’, for a caramel that is chewy with a firmer consistency. Unlike other candies, caramel is cooked at a lower temperature and as they contain more moisture they are softer; thus because of its texture caramel can be moulded and added to other ingredients (i.e. chocolate bars), or it can act as a binding agent or to add flavour and texture to products. 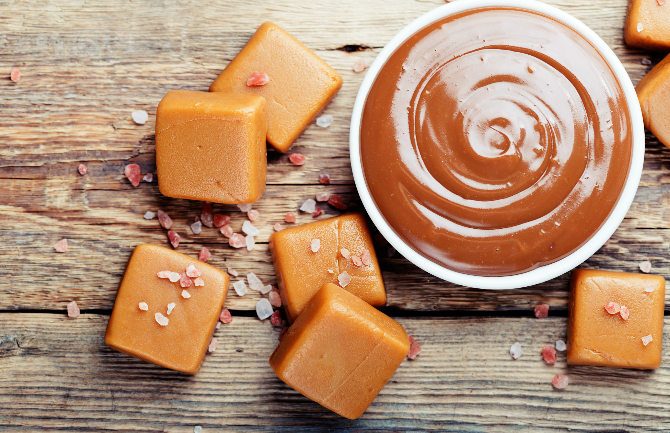 How is Caramel for Confectionery Made? The ingredients for making caramel is sugar, invert/glucose syrup, milk (or cream) and butter, all of which are added together and cooked at 245°F. The brown colour is a result of the reaction between the protein in the cream/milk and the sugar; this process is called the Maillard reaction, which is named after the French scientist who discovered it. The Maillard reaction occurs when part of the sugar molecule reacts with the nitrogen part of the protein molecule; this leads to the brown colour and the flavour compounds. If the mixture is cooked even further up to 338° F, it essentially become toffee, also known as caramelisation. 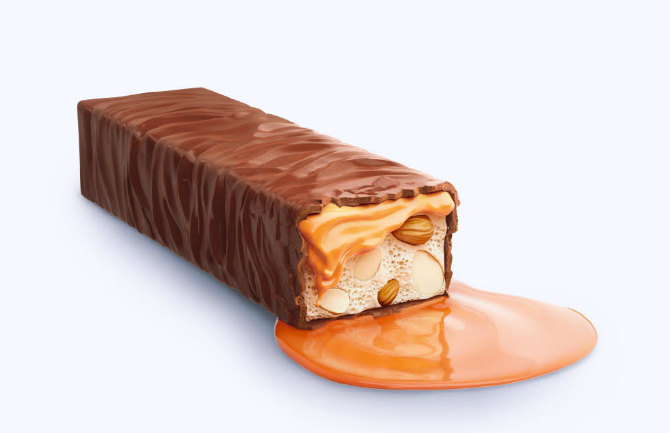 Ragus supplies invert/glucose syrups and brown sugars as ingredients to food and drink industries that can be used in the production of caramel as a confectionery. Ragus’ Soft Brown Light Sugar or Dark Soft Brown Sugar is the perfect product for making your caramel and toffee creations, not only do they add colour, their finer grain size rapidly dissolves for sauce and toffee preparations and the molasses content adds flavour. Ragus’ Invert sugars are used not only as a humectant to retain and preserve the moisture and as a flavour attractant, but they also have a high sweetness value. If you fancy making your own salted caramel, then Ragus has the perfect recipe using our very own golden syrup and Soft Brown Light Sugar. 1. Melt butter, Ragus Soft Brown Light Sugar and Ragus Golden Syrup in a small heavy based pan. Heat gently, stirring until the sugar has dissolved and the butter has melted. 2. Add cream and a pinch of sea salt and simmer for 2 mins until thickened and smooth. Cool slightly, taste the sauce, add any extra salt. Serve warm with ice cream and enjoy! We’re specialists in high quality natural pure sugars and pure syrups, from raw cane sugar to specialist glucose-sugar blends.